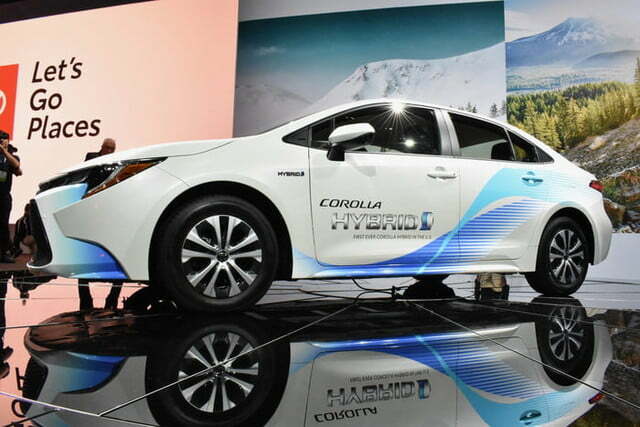 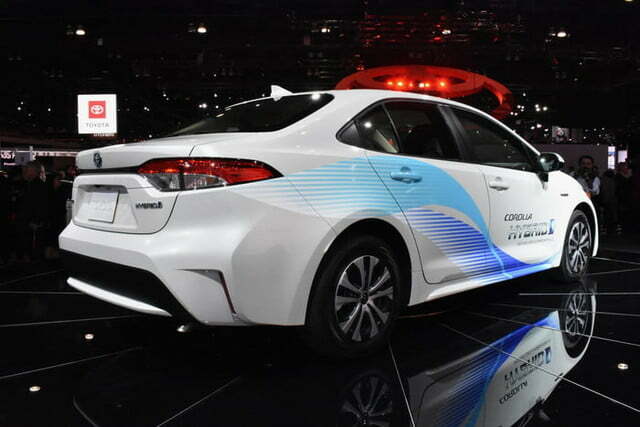 Toyota is now synonymous with hybrids, and not just because of the Prius. 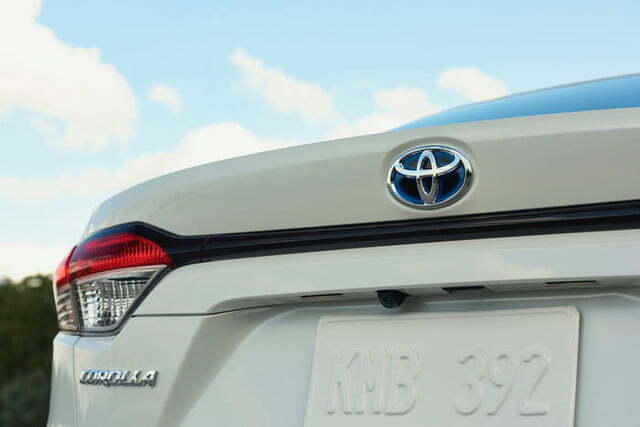 Japan’s largest automaker has added hybrid versions of several of its biggest sellers, from the Camry and Avalon sedans, to the RAV4 and Highlander crossovers, to the sleek Lexus LC luxury coupe. 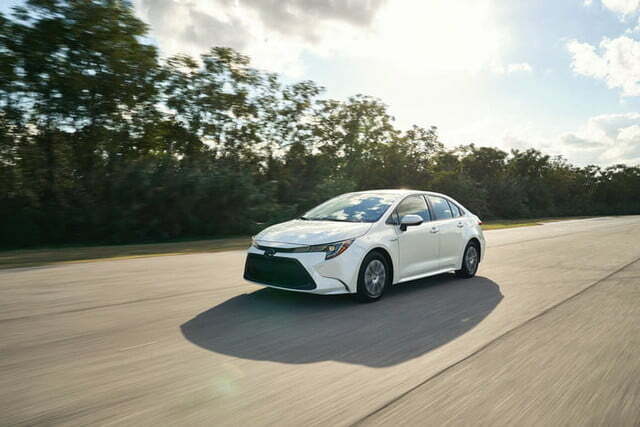 But the compact Corolla hasn’t gotten the hybrid treatment — until now. 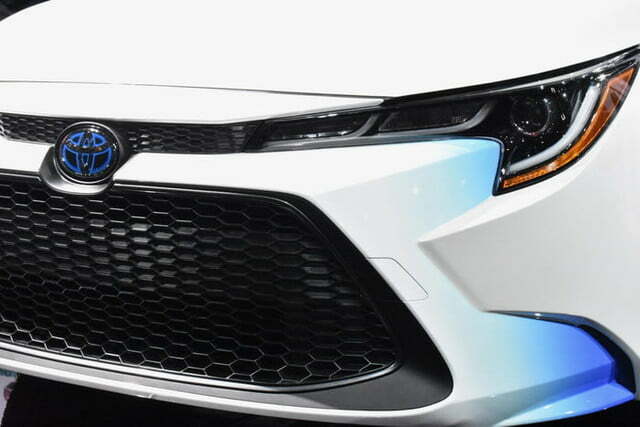 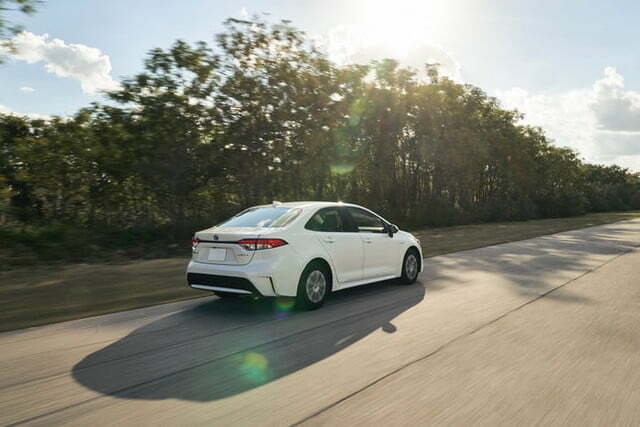 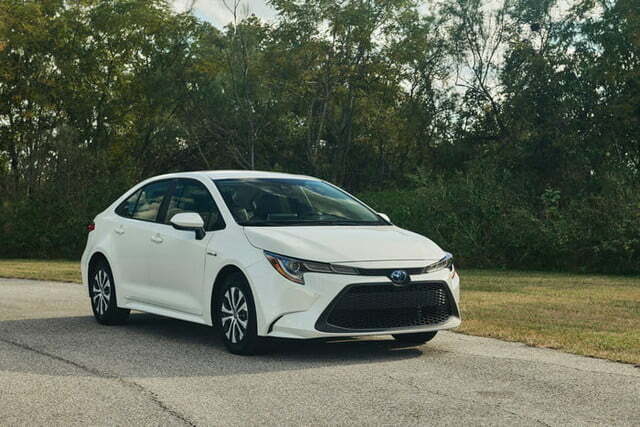 The 2020 Toyota Corolla Hybrid is the first model of its kind in the Corolla’s 52-year history. 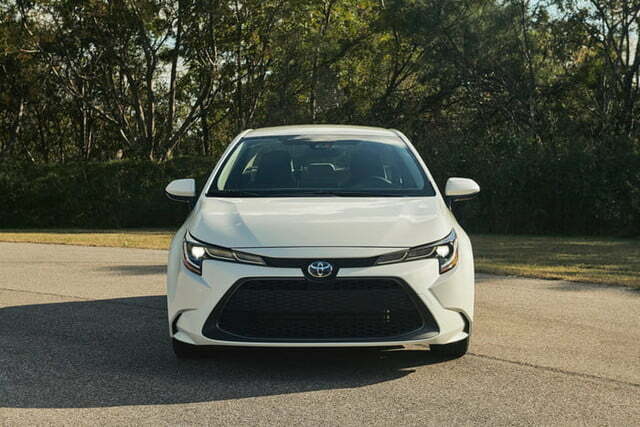 Debuting at the 2018 Los Angeles Auto Show, the Corolla Hybrid is based on the revamped gasoline 2020 Corolla sedan (Toyota won’t offer a hybrid version of the Corolla hatchback). 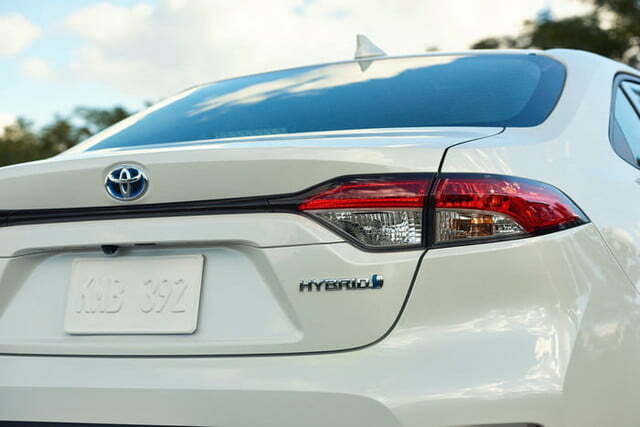 The hybrid goes on sale in the United States in Spring 2019. 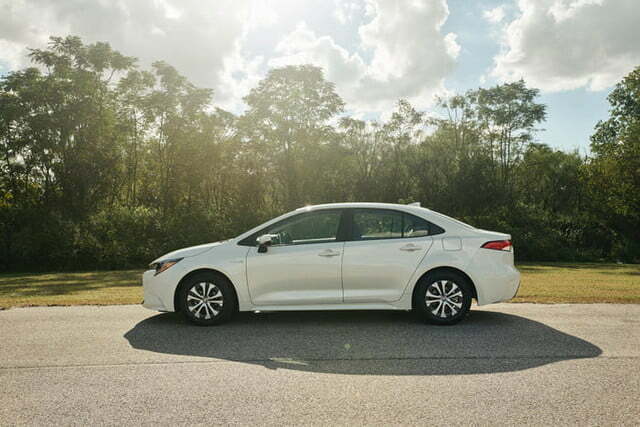 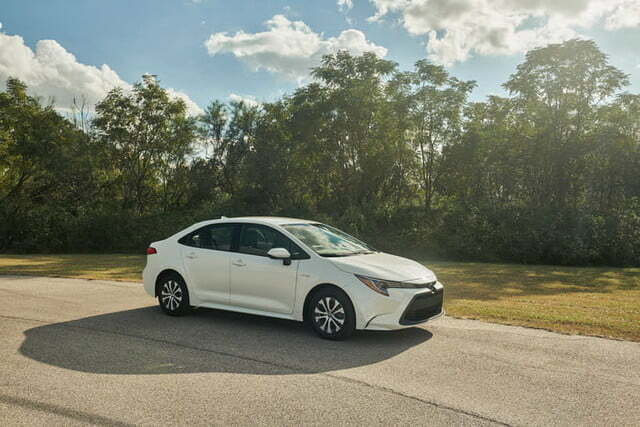 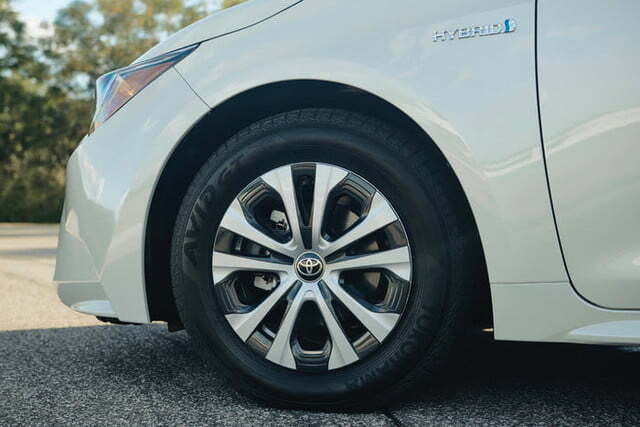 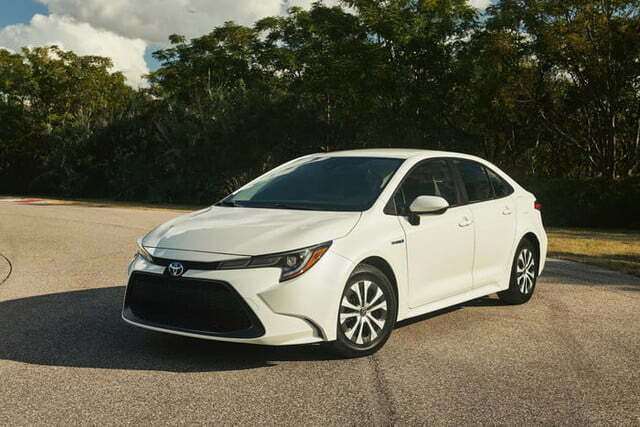 The hybrid model looks virtually identical to a non-hybrid Corolla sedan, but under the skin it features the familiar Toyota Hybrid Synergy Drive system, which works with a 1.8-liter Atkinson-cycle four-cylinder engine to drive the front wheels. 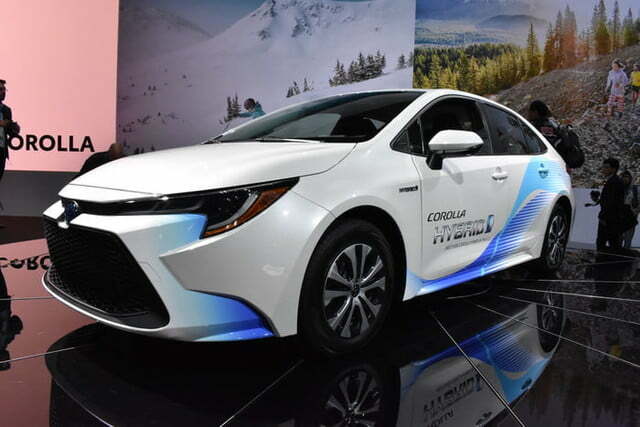 Toyota estimates total system output of 121 horsepower, and promises the hybrid powertrain won’t decrease interior space despite the need to house a nickel-metal hydride battery pack. 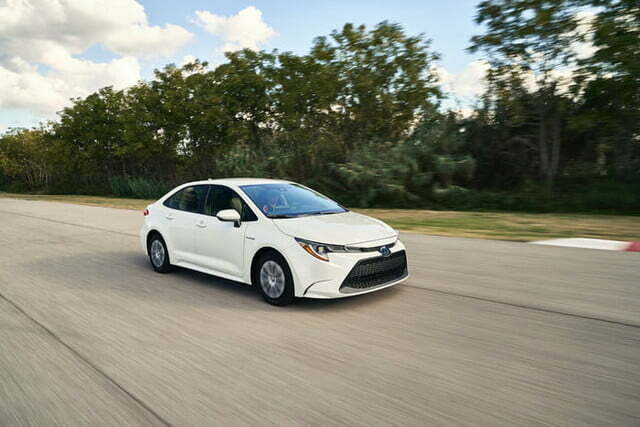 Toyota expects the Corolla Hybrid to get 50 mpg combined — just 2 mpg short of a standard Prius (the Prius Eco model is rated at 56 mpg combined). 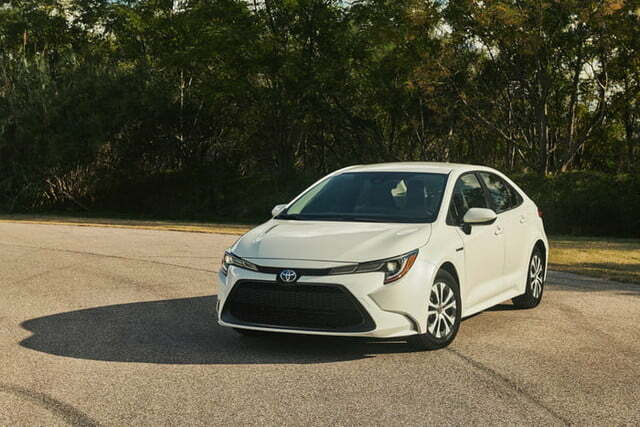 But just as the standard Corolla competes with the Honda Civic, the Corolla Hybrid’s main rival will likely be the Civic-based Honda Insight hybrid sedan. 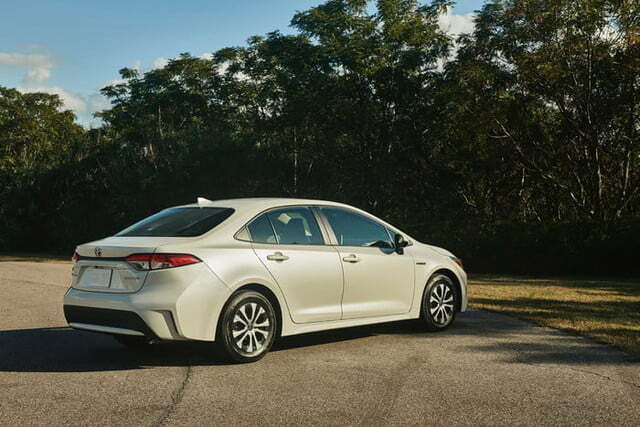 The Insight is rated by the EPA at 52 mpg combined in all trim levels except the Touring model, which is rated at 48 mpg combined. 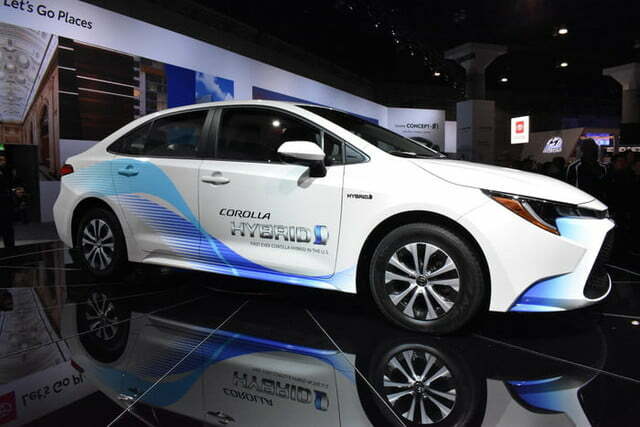 The Corolla Hybrid gets many of the same tech features as other Corolla variants. 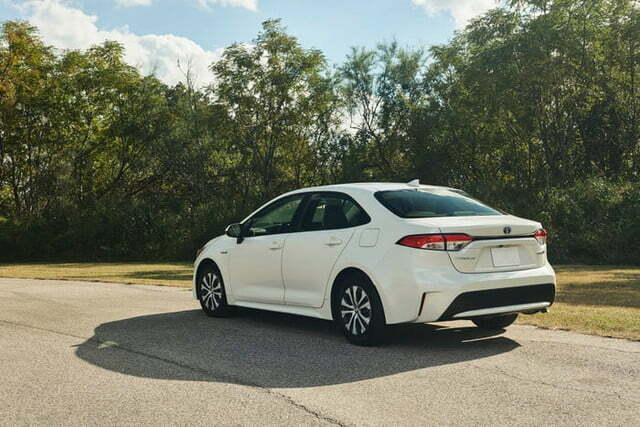 The Entune 3.0 infotainment system includes an 8.0-inch touchscreen, Apple CarPlay (Android Auto isn’t available), Amazon Alexa connectivity, and a built-in Wi-Fi hotspot. 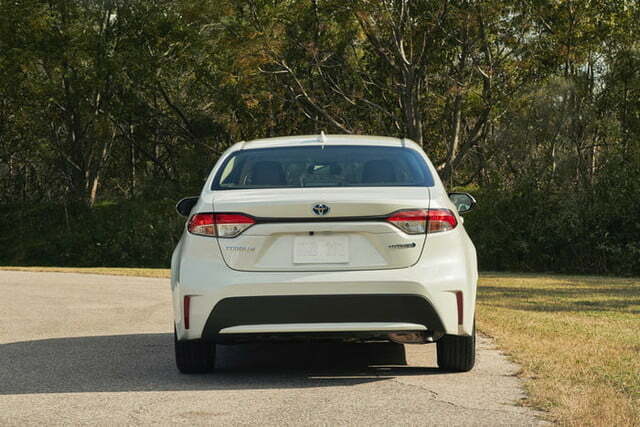 The Corolla Hybrid also gets the Toyota Safety Sense 2.0 suite of driver aids, which bundles autonomous emergency braking, adaptive cruise control, lane keep assist, automatic high beams, Toyota’s Lane Trace Assist automated lane-centering feature, and Road Sign Assist, which uses a camera to read stop, yield, do not enter, and speed limit signs. 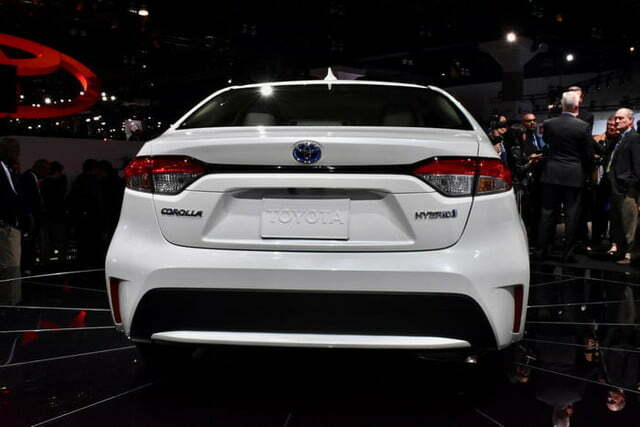 The 2020 Toyota Corolla Hybrid makes its public debut in L.A. alongside the updated 2019 Toyota Prius, as well as the 2019 Subaru Crosstrek Hybrid plug-in hybrid, which uses Toyota powertrain tech. 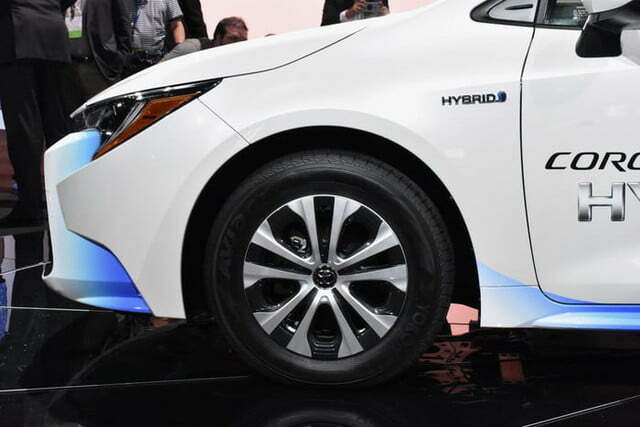 We wouldn’t expect Toyota to stop at just one hybrid, after all. 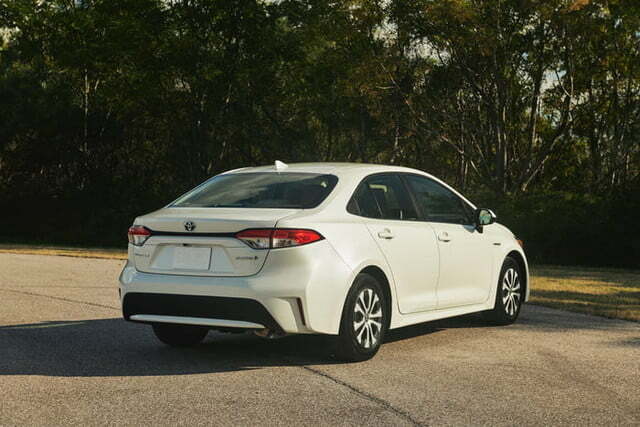 Pricing information for the Corolla Hybrid will be released closer to the car’s Spring 2019 launch. 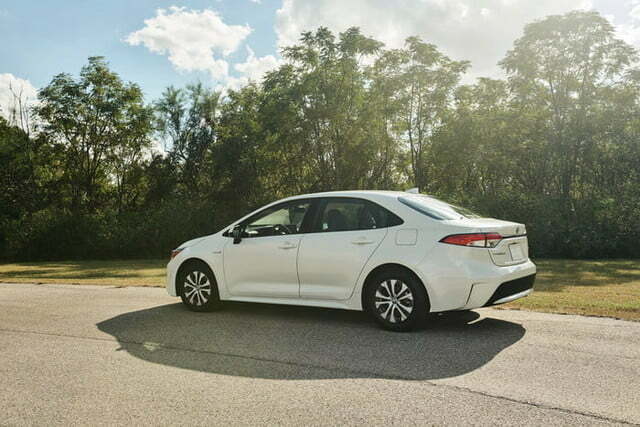 Updated on November 28, 2018: Added live photos.